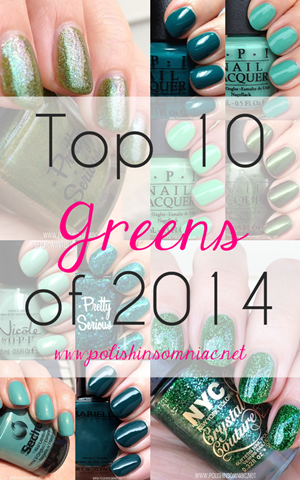 Click on each image or name of the polish to see the full size image! FingerPaints is a very underestimated brand, IMO. The formula is great and the price is right ($4.99 each). The holiday collection this year is no different. The colors are not 100% original, but they are done RIGHT. 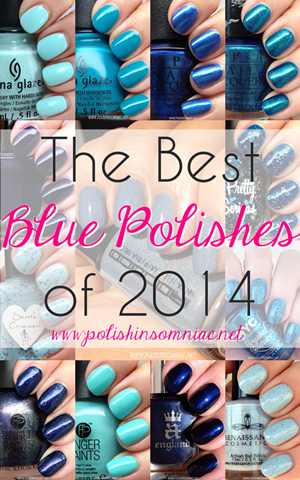 My favorite out of the collection is Winter Sky, is it a one coat wonder! I wore it for almost 24 hours after I swatched it – I simply didn’t want to take it off! So shiny and perfect… like fantastic plastic. Drummer Boyspices it up perfectly! Comet’s Collar has a shimmery, almost foil finish. I can’t wait to wear it again and layer it over a darker color! Can you have too many red glitters? Not when it’s Christmas time! And not when it’s called Santa Kisses! 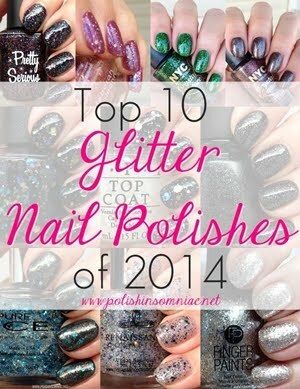 I really appreciate the glitters in this collection; they are small and easy to apply. So many of the glitters this season are a PITA, these are a relief! The FingerPaints Fall Merry & Bright collection is available now at Sally Beauty and SallyBeauty.com, and they retail for $4.99 each. 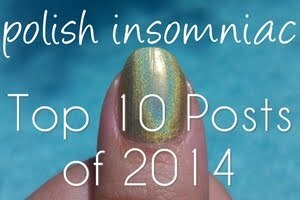 To see other FingerPaints that have been featured on polish insomniac click here. Polishes were provieded for review.